The user specified name and description. The summary of the checking actions. 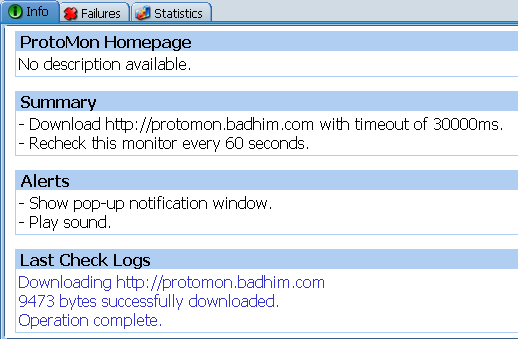 The list of the alerts that would be triggered when monitor check fails. The full logs of the last check.